Feeling down? Rough day? No worries. Johan Agebjörn just showed up with a copy of Notes, and everything’s going to be all right—or at least seem that way for 45 minutes or so. Between slightly fluffy, sometimes jazz-tinged instrumental tracks and a handful of vocal offerings that range from shoegaze-y quiet to smoky lounge, Notes stuffs a lot of feel-good into just over 45 minutes. Some may have a small problem, as did I at first, getting through the sugar-glazed barrier that is the opening track, “The Right to Play,” but I came around to the thematically appropriate charm of its shiny little notes running up and down the keyboard. Just as a side note, my ears keep hearing the central riff as kind of day-glo revisitation of Iggy Pop’s “The Passenger.” (Though I must say, Johan—although it fits the title, the slide whistle is a bit much.) And unless my ears deceive me, and they may, that central riff finds its way into several of the tracks. I believe I hear it in the moody waltz of “The Boy Who Thought It Was A Good Idea To Cry” and later, slowed down, it re-emerges as the melody for “The Leftovers.” I quite like that track, with guest artist Loney, Dear sounding like a man talking to himself during a a walk in the rain. Agebjörn’s backdrop stays quiet, a combination of misty susurrus and a walking bass line, letting us focus on the rhythm and impact of the words. Agebjörn offers a particularly strong duo in the combination of “Will They Forgive Us” and his remix of Brain Machine’s “Alpha Beta Gamma.” The first is a nice blend of hurried sequencer lines and silky flute, with a thumping beat folded in. The mix of fast and slow works very well. Take a moment to admire how smoothly Agebjörn slips into “Alpha…,” the beat rising in force as cool electric piano notes lay down a jazzy lead. The toes, oh how they will tap. As for the vocal tracks, which I don’t normally review, as I mentioned above, I very much dig the Loney, Dear collaboration. Sally Shapiro, with whom Agebjörn collaborates regularly in a project that bears her name, appears on two tracks to lend her high, elfin tones. Not my favorite moments on the release, but a fine addition. Canadian dream-pop band Young Galaxy bring the shoegaze element in the form of “You Passed Through.” Vocalist Catherine McCandless’ voice has a smoky ennui and mild sadness about it that works well on the track. All in all, Notes is a nicely constructed, thoughtful album that’s easy to float through. Where it’s light, it’s very light. Where it wraps itself in a dreamy fog, it gets better. I can’t say for sure whether Agebjörn is playing with the idea of manipulating a central musical theme and seeing in how many directions he can take it, but there are moments that ring with a touch of sameness. Mind you, it works, but some might feel slighted at hearing the echoes. 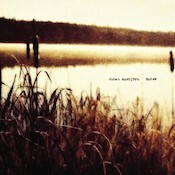 Still, an enjoyable release from Johan Agebjörn that you should hear. Available from Paper Bag Records.